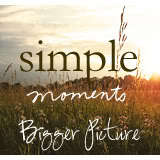 Welcome to Bigger Picture Moments, a place where we step back and take in life. There are moments where we’re so caught up in it all, the hectic mind boggling pace of the day. We encourage you to take this opportunity to take a moment and view the Bigger Picture. Whatever that means to you. A moment where you recognized the role your faith plays in your every day life. A moment where you take note of motherhood and the importance of what you are doing. A moment that made you stop and smell breathe in the bigness of it all. 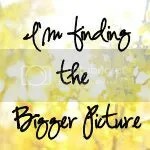 The hugeness that is life and the small moments adding up to one huge Bigger Picture. We hope you’ll join us. Take a few moments. Think about your week, and pour however little or much onto a page. Then share. Tell us your moment. Link up, grab our button, and share your Bigger Picture Moment. And while you’re at it, share the love and check out at least one other participant’s moment. We’ll be hosting the link up on Thursdays, the first on June 24th. Hyacynth will start us off, so make sure to head over to her home and play along! 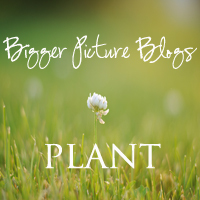 This entry was posted in Uncategorized and tagged Bigger Picture Moment, community, link up. Bookmark the permalink. Oh so much fund and great and meaningful stuff to participate in! Really…I can’t keep up. This is just such a great idea. Thanks, no… button link just won’t work for me/won’t load. Not having problems with any other button links. Haven’t a clue. Will just “fav” the site. The code for the badge should be corrected now. WordPress has issues with “” vs ""
Great blog! How do i get to be a part of this? Hi! I would want to join! Is linking ok or do I have to register or something? Thanks!